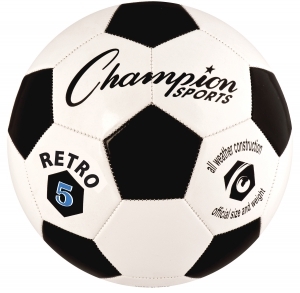 Champion Sports offers a wide variety of premium indoor and outdoor soccer balls that will fit the requirements of your league, age group and skill level. Use these balls as game balls or simply to practice like the pros. 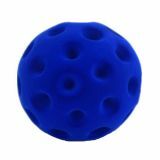 Looking for a classic old school ball you can use for club or practice play? The Champion Sports Retro Soccer ball features a TPU cushion cover made of 32 machine stitched panels, and a 2-ply butyl bladder. 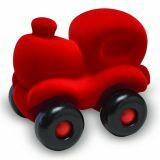 The official size and weight ball with a classic black and white design is great for all weather play!